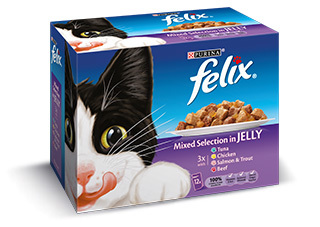 Last year, six of the top 10 selling pet food SKUs were FELIX® pouches, including three of the top four1, so why not stock up on the nation’s favourite? 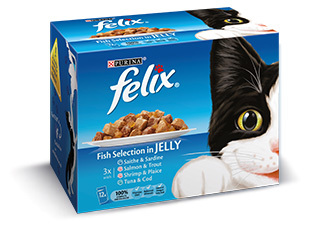 FELIX is the number one selling brand across the entire pet food category, with total brand value sales worth over £241million2. To capitalise on this popularity and meet customer demand, it’s key that retailers stock the market leader. In Convenience, sales of single serve cat food are now worth £78.1million3, driven by premiumisation. 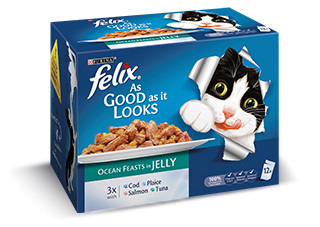 FELIX offers a range of premium options, available in Single Serve, such as FELIX As Good As It Looks® Doubly Delicious – made by combining two different types of meaty or fishy ingredients in one pouch. Awarded Product of the Year in the cat category for 20184, the As Good As It Looks® Doubly Delicious range is growing by 25.8% YOY5, marking its significant success within the sector.